Impress your parents, and help make kids healthier! Quality and nutritious meals for your students and faculty. It’s hard to find a partner that can provide meals that you, your students, and their parents can trust. And the temptation for the easy route also exists where fast food, sugary snacks, and unhealthy processed foods can make their way into your students’ bodies. 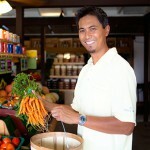 We offer a selection of high quality, made-from-scratch, nutritious meals that you can be proud of. Hassle-Free. We handle it all for you. From ordering, cooking, cleaning, billing, and delivery, we make the entire process of providing a meal easy and seamless. Our food is freshly prepared in a commercial kitchen and carried in proper warming/cooling units ensuring freshness at arrival. 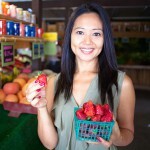 And every meal also comes with a choice of cold drink, a serving of fresh fruit or vegetable, and snack. Easy for Parents. Let’s face it, parents are busier than ever, and while their intentions are good, sometimes their bagged lunches don’t make the grade with regards to nutrition. We gladly relieve parents of this pressure by providing a wide selection of kid-friendly and healthy meals they can order directly through this website or through our mobile app. Giving Back. 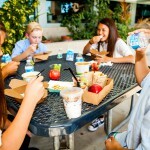 The founding principle of The Lunch MOB is to foster healthier eating for our kids. And so, we will do whatever we can to empower schools to follow the same. 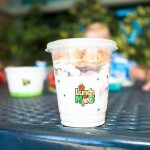 For every meal that is purchased, The Lunch MOB will donate part of the proceeds to the school. The more meals are purchased, the more we give back. Ultimately, it’s all about You. We’re here to help, and so whatever your school’s needs are, we’re willing to work with you. It’s easy for schools, and it’s so much easier for parents. 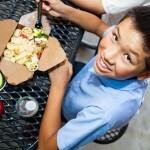 Healthier Lunches = Happier Kids! Does your school have a current lunch program?